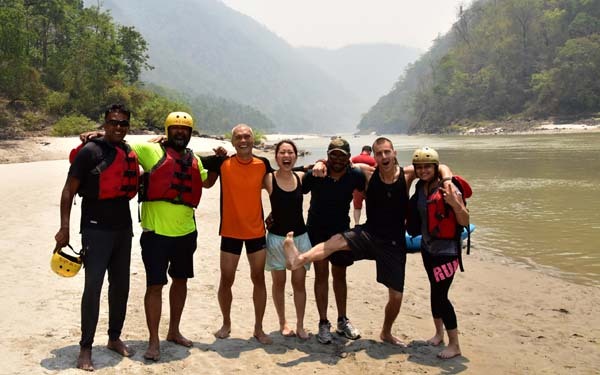 In Rishikesh, the main draw is yoga and spiritual pursuit. 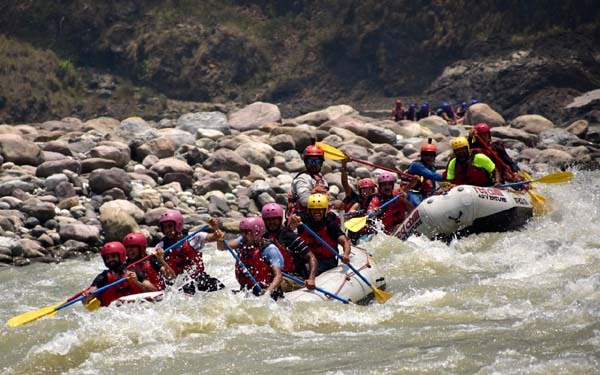 However, when it gets too much of that, coupled with the 40°+ heat and inviting cold waters of the Ganga River, you inevitably default to rafting...white water rafting to make it exact. 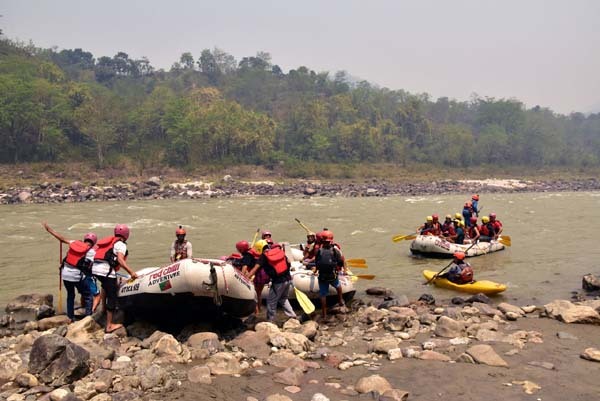 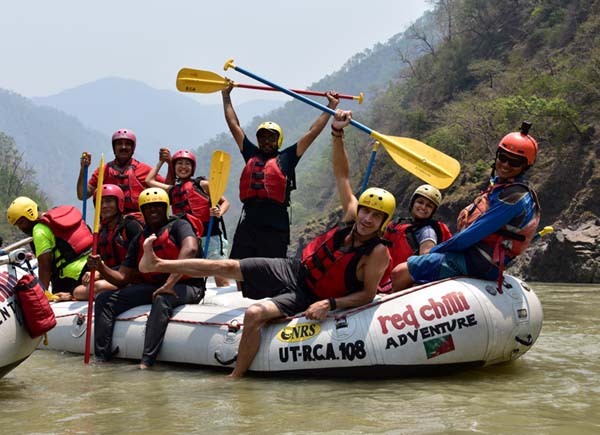 Red Chilli Adventure is one of the major rafting players in Rishikesh and I signed-up with them for a 26-km 11-rapids rafting tour of the Ganga River. 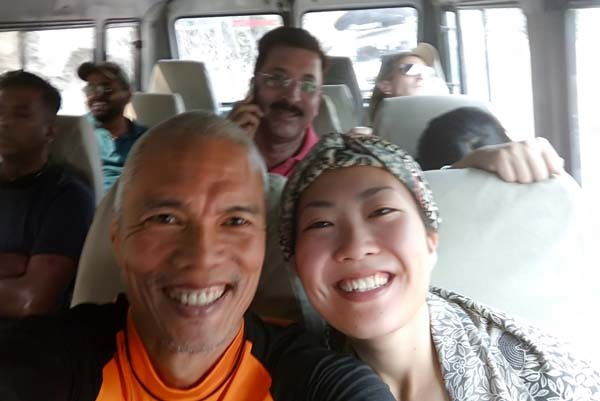 Ai, the Japanese traveler staying at my hostel joined me. 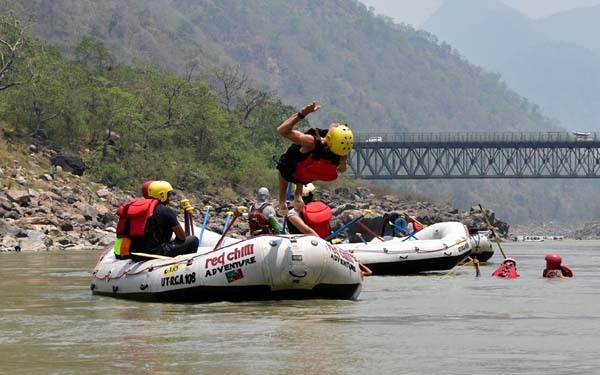 We met the other rafters at the Red Chilli office and boarded a spacious van that took us upstream along the winding mountain road of Rishikesh until we reached the jump-off. 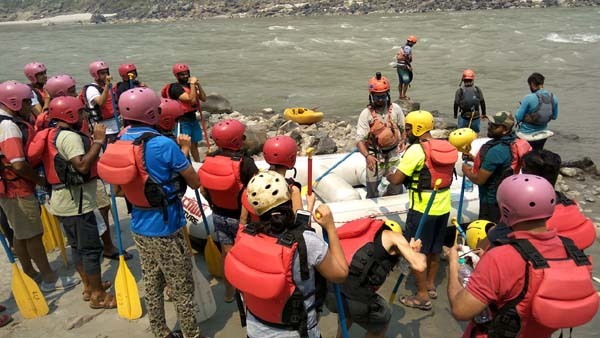 Before plunging into the water, the professional guides gave us a proper orientation - fitting the safety vest and helmet, paddle instruction, how to manage when thrown-out into the water, how to pull-up a rafter on board, etc. 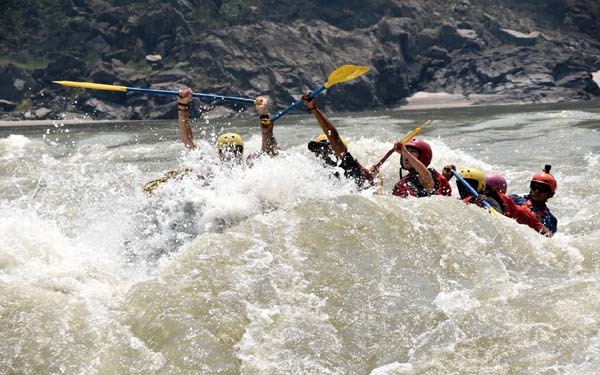 All of those instructions gave us increased confidence in managing what's up ahead. 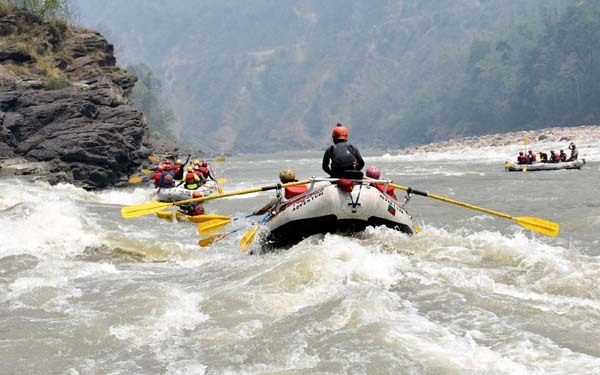 What followed was an adrenaline rush as we forged headstrong into the raging waters of the Ganga. 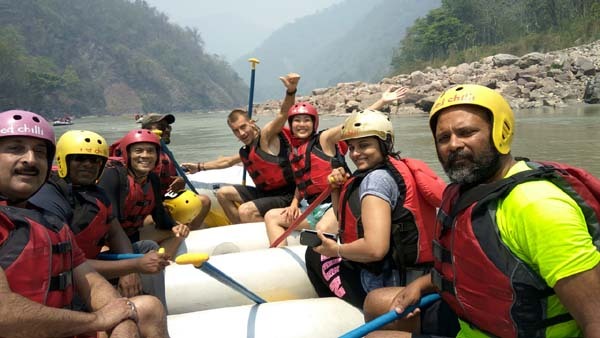 We all had to work as a team as we followed split-second timing instructions by our guide Anup on when to paddle forward, when to paddle hard, when to stop, when to back-paddle...all this, as we frantically struggled to stay on board without being thrown overboard. 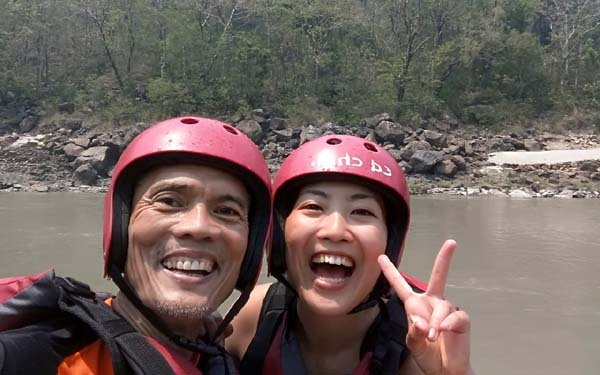 The timing was just right. 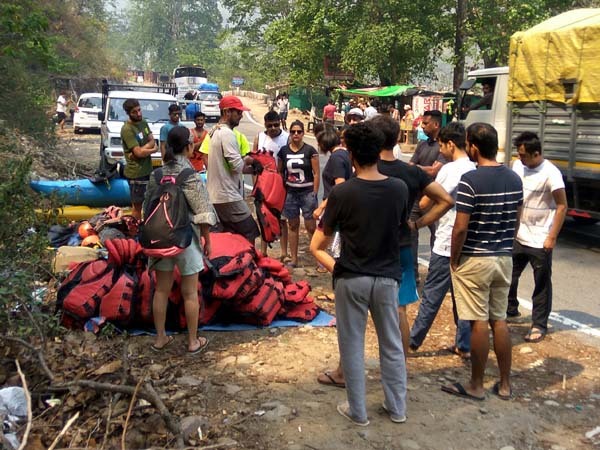 Before things got old, we were already at the pick-up point near Laxman Jhula bridge. 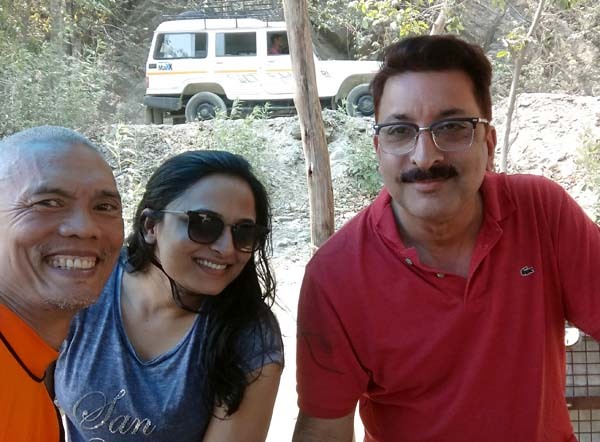 We had ample time at the river bank to have tea from the vendors before boarding the van that took us back to the Red Chilli office. 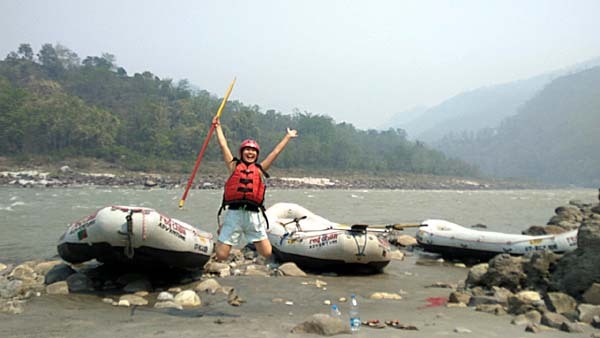 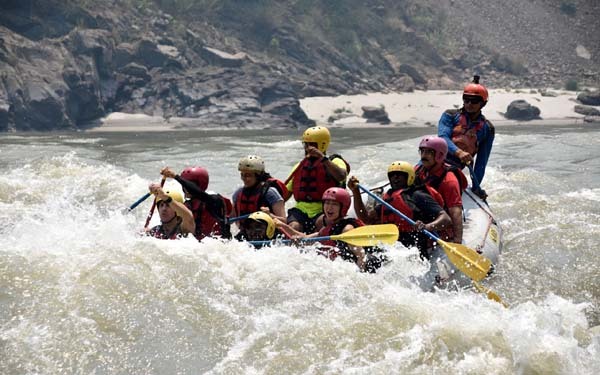 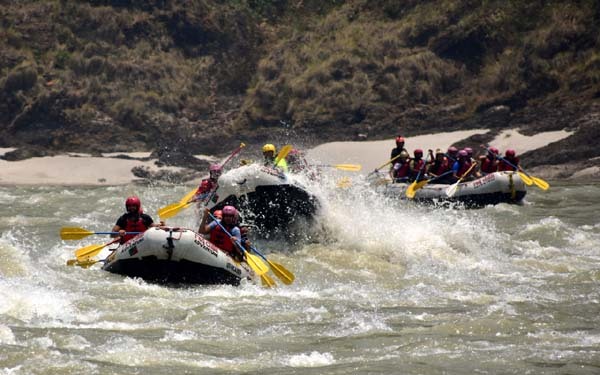 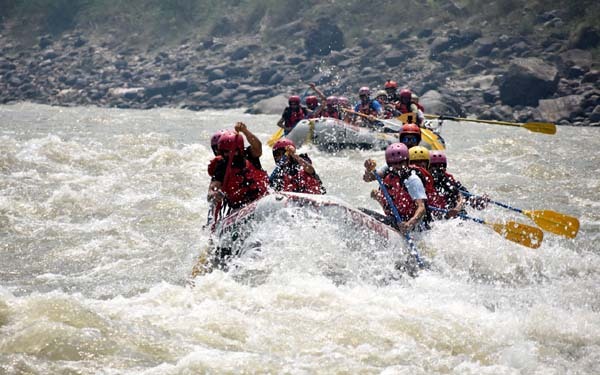 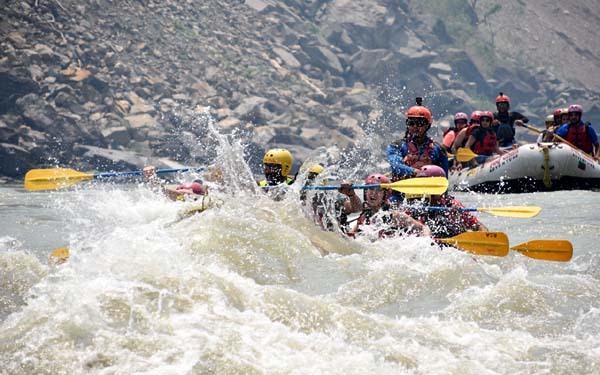 Rafting the white waters of the Ganga River is as exhilarating and as refreshing as it gets. 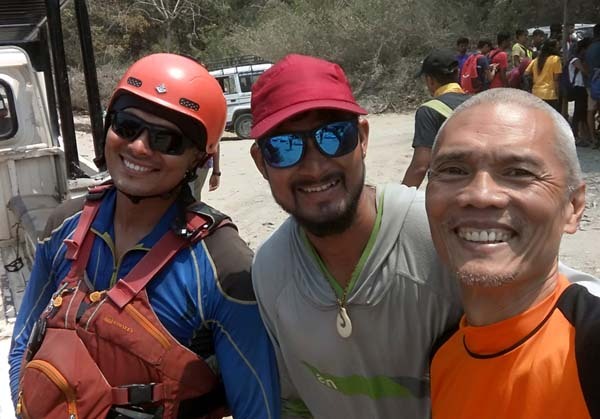 What started out as complete strangers pooled together in a raft has become good friends in that short time. 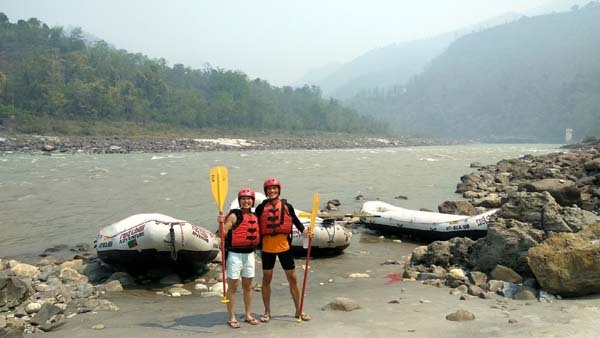 Riding wet and wild was an adventure fun that added dimension to the fabled Rishikesh experience. 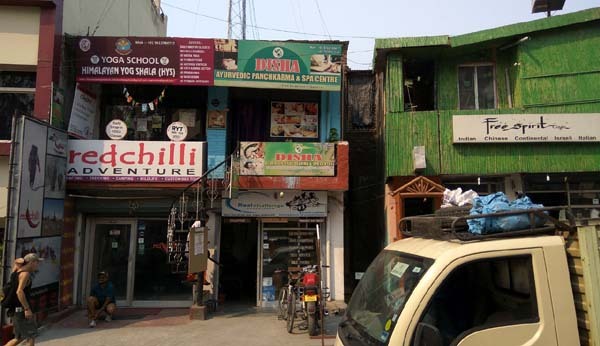 Thank you Red Chilli Adventure for that white-knucle rush! 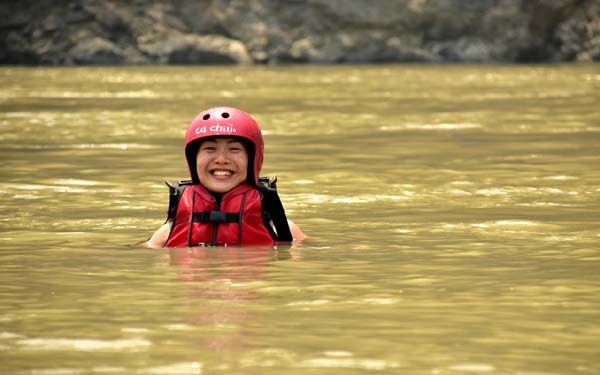 ps - If you want me to objectively write about an adventure tour from your outfitter shop, email me.